Our extensive knowledge and experience with Insurance and Reinsurance in the U.S. and Europe has proven invaluable to legal counsel. We have the insight and skill to provide exactly what’s needed, when it’s needed. This is especially valuable when counsel is unfamiliar with our industry. 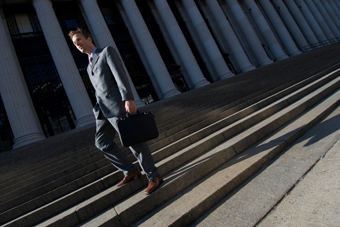 We can provide document reviews, witness interviews and attendance at both depositions and trials. We’ll also assist in preparing witnesses, and advise and direct the selection of expert witnesses. Our staff is highly qualified and knowledgeable and we often act as expert witnesses for our insurance and reinsurance clients. Our personnel have the ability to provide impartial and credible opinions on a variety of Insurance and Reinsurance matters. Members of our staff with the highest levels of expertise, assist our client by appearing as arbitrators. We’ll also act as mediators in dispute resolutions regarding claim settlements and coverage issues.